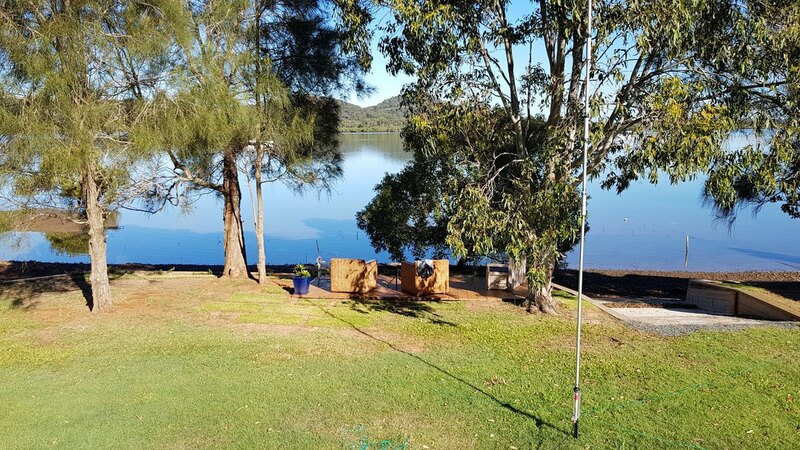 This past weekend I was QRV from Russell Island. 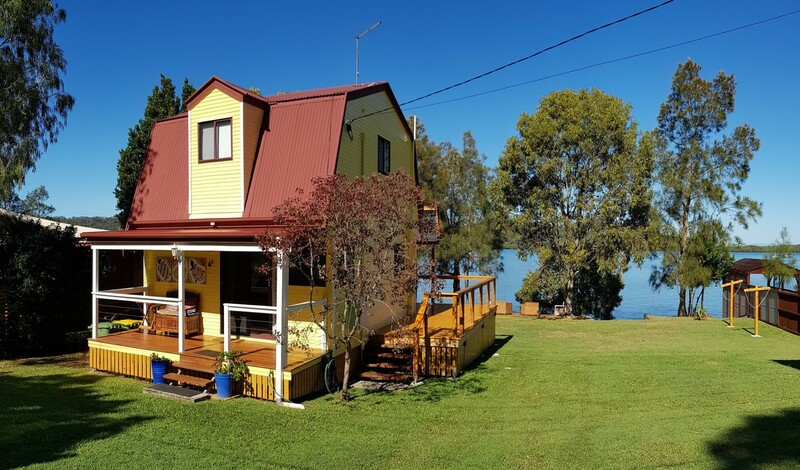 The island is part of the Queensland State (South Coast) South group – IOTA OC137. 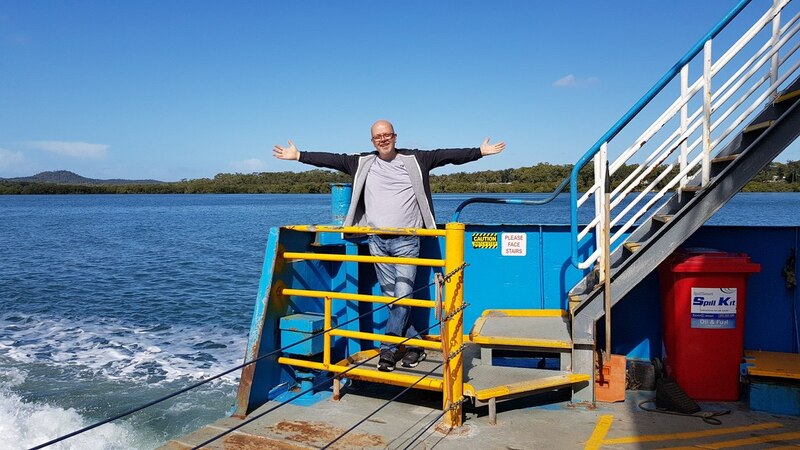 Unlike previous one-day operations from Coochiemudlo Island, this was a weekend long operation, and I was accompanied by my wife and our daughter. 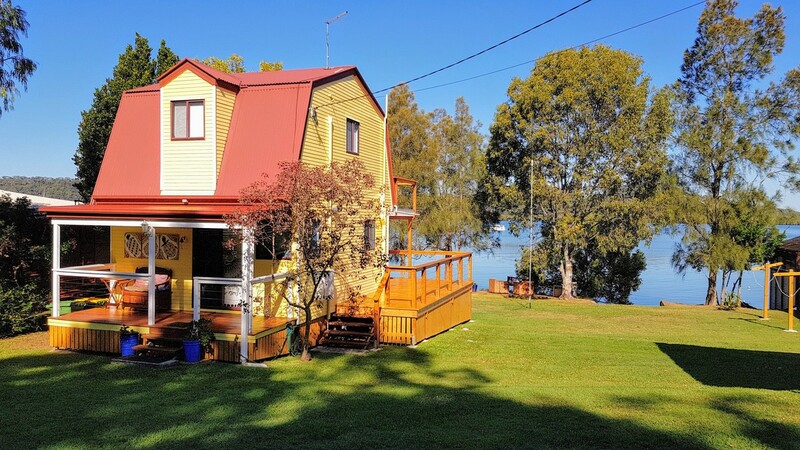 The accommodation was amazing, we rented a small cottage right at the water-front with a view to another island, the largest one in the group – North Stradbroke Island. 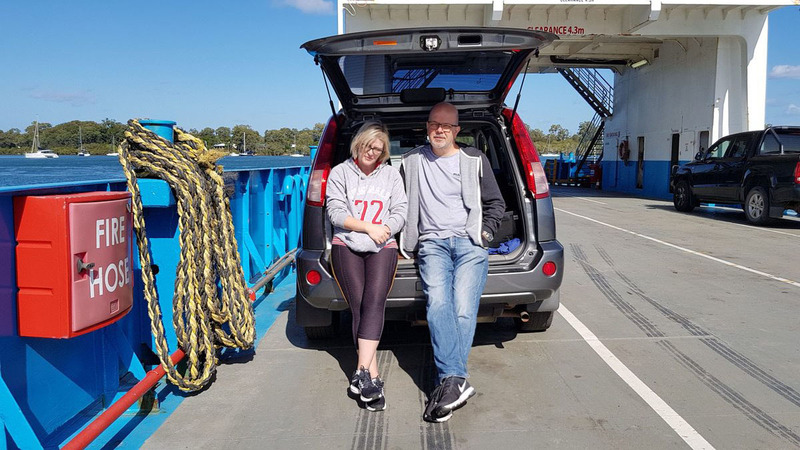 We arrived around midday on Friday and unpacking, having the lunch, setting up the radio and antennas took some time but I was on the air around 4pm. There were some issues with the antenna as I couldn’t get the SWR anywhere in the acceptable area on either 40 or 30m. Pulling the 30m trap apart showed some rust and cleaning it up fixed the things quite nicely. With the antenna (Hustler 6BTV) all tuned up it was time to get on the air. Conditions were, ummmmm … challenging. The noise was much higher than expected it would be and the signals were just not strong enough. 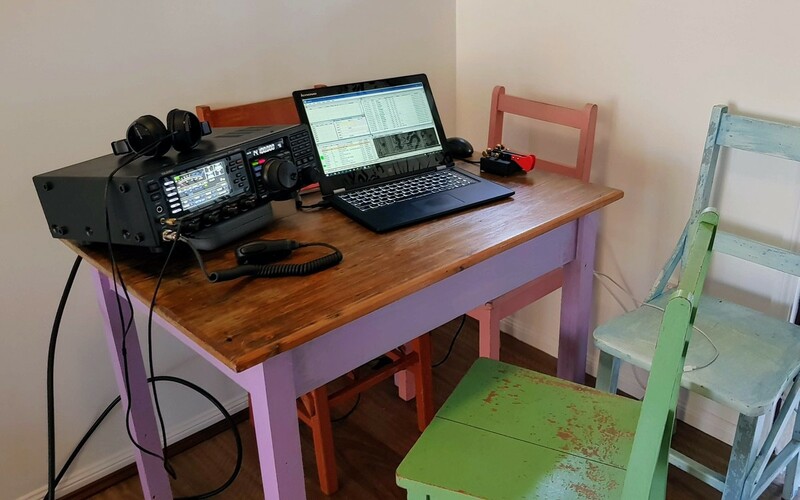 JA stations on 40 and 30m were in the S5-6 region at best. Normally most of JAs are always over S9. At times I would call for 20 minutes with no replies. At some point I scanned 40, 30 and 20m and all I could hear were a few VK and ZL stations on SSB, nothing else. As if this wasn’t bad enough, with the first darkness something kicked-in in the neighbourhood giving me a solid S7 static across all bands. NB didn’t help at all, it was a solid, thick and very mean noise. That night I ended up going to bed relatively early, just before midnight and I was up just before the sunrise on Saturday. The noise was still there but faded pretty quickly as the sun showed-up. Twenty metres opened up quite nicely for about two hours and I even had to work split as the pile up from Japan was unmanageable on the same frequency. Most of the day on Saturday I spent with my family driving around and exploring the island, and in the afternoon I was back on air around 3pm. I had emails from a few hams asking for a contact at certain time and band, but the conditions were so unpredictable that it was hard to be sure it would work. In the end we made it in most cases. That night the noise was much lower, so I could make some decent runs on 40 and 30m, and then on 20 in the morning again. 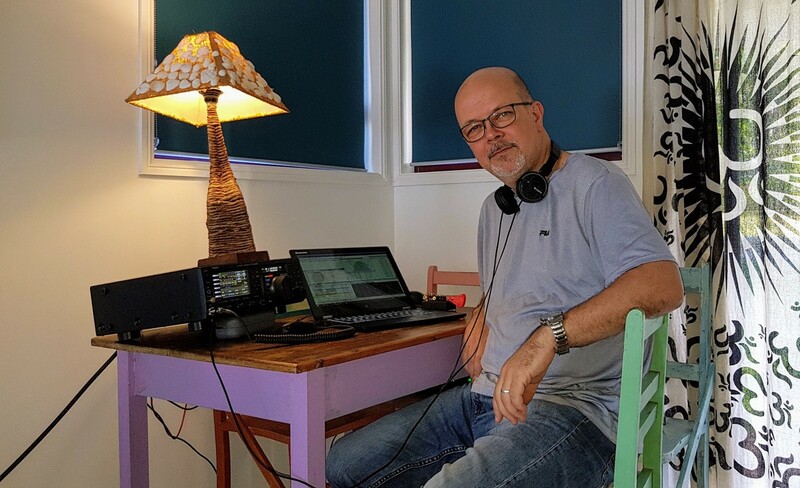 Having put up a 40m dipole earlier on Saturday turned out to be a good idea as dipole isn’t as noisy as the vertical antenna. FTDX3000 makes it very easy to use receiving antenna, so this was a great help. We had to check out by 11 am on Sunday and get to the 12 o’clock barge back to the main land. It was fun and I’m hoping that in few weeks time I’ll do another weekend trip to one of the OC137 islands.